THE CORRIES, Roy Williamson and bearded Ronnie Browne, can now be regarded as among the most significant innovators in the ever-widening world of folk-music: clubs and pubs everywhere abound with Corrie-type performers, but none, inevitably, come close to the originals. THE CORRIES are no parodists, with ears cupped, belts gripped and chameleon voices mimicking, striving for ethnic effect; nor are they guitar-crashing bores short of understanding and talent. 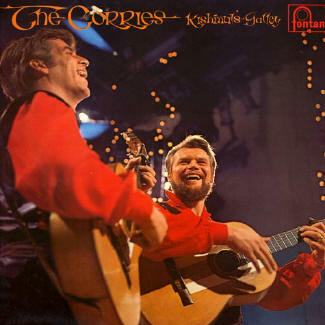 THE CORRIES are themselves, and their personalities allied to a high degree of professionalism have enabled them to reach a diverse audience through the media of concerts, broadcasting and records. As I have written elsewhere in the past: Audience participation was nothing until the Corries happened. 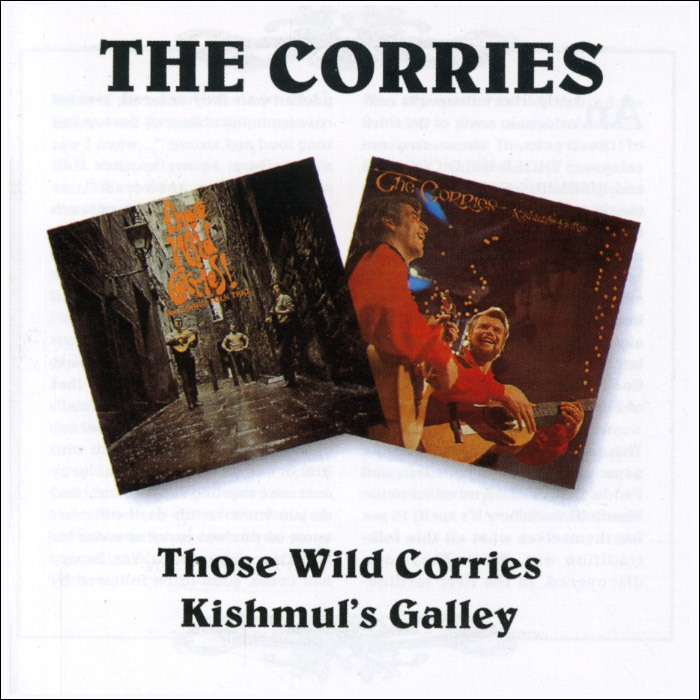 THE CORRIES' repertoire is almost exclusively Celtic in origin, but other influences show clearly m many of their interpretations the primitive rhythms and harmonies of this album's title-song have their roots in both East and West yet Kishmul's Galley remains superbly evocative of ancient times in the Scottish islands. THE CORRIES respect their material but are not content to be mere copyists. They get inside a song and experiment intuitively within the framework, all the time ensuring that the traditional fabric of the song remains intact. THE CORRIES employ a roomful of instruments m concert — on this occasion, twelve. There are guitars (flamenco, zither and 28 string), banjo, bandurria, fiddle, flute, harmonica, concertina, boraan (drum), whistle and northumbrian pipes, plus on the Roving Journeyman — two matchboxes.